Share the post "Oxford Risk Management Group Supports Casey Cares on National Pajama Day for Kami’s Jammies"
On April 18, Oxford Risk Management Group showed their support for the Casey Cares Foundation‬ and their Kami’s Jammie’s Program on National Pajama Day! 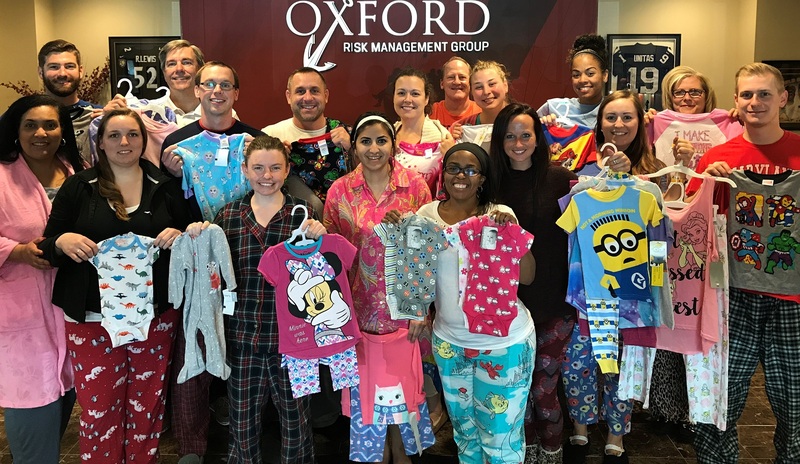 Kami’s Jammies is a program that provides pajamas to children while they are hospitalized throughout the Mid-Atlantic region for critical health issues. If you would like to learn more about the Casey Cares Foundation, please click here.